The perfect addition to any patio, the Sunjoy Tamworth Baker's Rack. 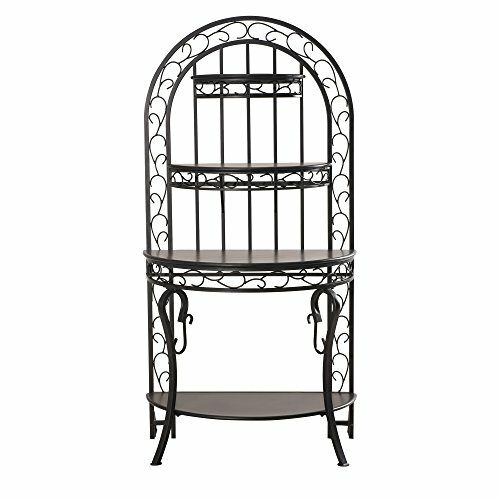 This rack displays your outdoor decor, tableware or plants. Also keeps your barbecue accessories close at hand. The scroll accents gives this rack an upscale look. Size: 36.6" X 23.4" X 72.83". Easy to assemble. Size: 36.6" X 23.4" X 72.83"